Save £5 when you buy an Attache Vinyl Storage Case with your Attache Record Player! 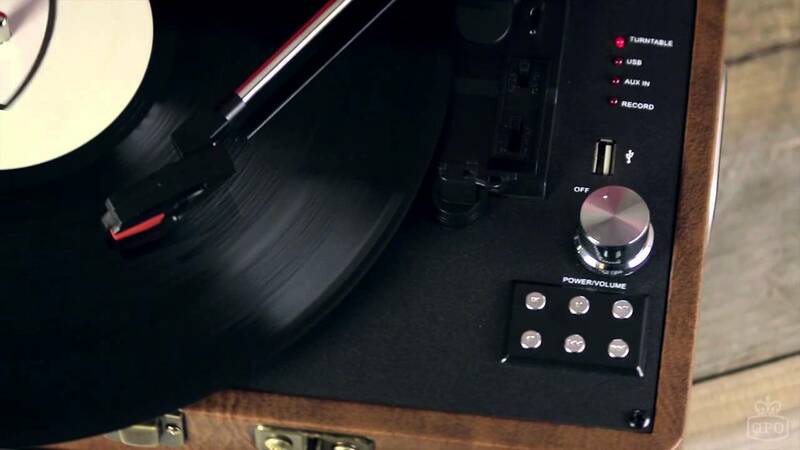 Our Vinyl Revival Retro Record Player! The showstopping GPO Attaché Retro Record Player in French blue suitcase design has built in speakers and it's vintage carry case makes it easy to listen to your favourite vinyl wherever you are. Made of wood and bound in leatherette this briefcase styled record player features 2 built-in 1.5W stereo speakers so you can tune in without needing a speaker system. Alternatively, you can connect the Attache to additional speakers via RCA audio output. You can record all your old vinyl on to the USB stick (included). This vintage LP turntable plays vinyls at three different speeds 33, 45 and 78rpm and makes a perfect retro music gift for her or him.